Please note: All copier issues including supplies will need to go through the IT Service Desk. Submit your copy request on-line through My Services! The Duplicating Center, located in room 60 Fallerius building, is a full service copy/print shop servicing NC State’s printing and copying needs. 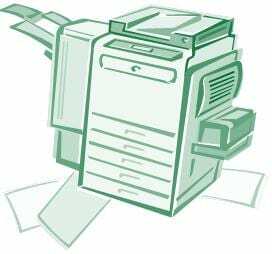 All copy jobs over 100 copies black and white or 10 color copies should be sent to the Duplicating Center to reduce the College’s overall printing costs and to alleviate office copier congestion. The Duplicating Center needs 48 hours for the completion of what you need printed. This allows us to give you the best possible services to you. Mail Services Guide (PDF) Submit your Mailroom request on-line through My Services! The mailroom services include interoffice commicuations, USPS, UPS and Fedex shipping and receiving. Mailroom hours are 7:30 AM to 3:15 PM Monday – Friday.